Volvo Trucks North America views urban distribution and other pickup and delivery applications as the starting point for battery-powered electric trucks in North America, but Europe is the first market where its parent company will enter the segment. 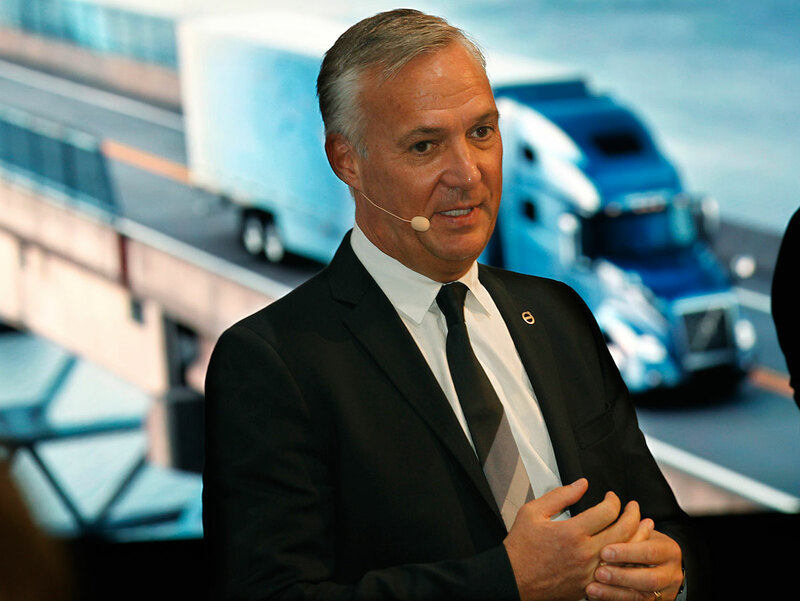 “We envision broader deployment of electric trucks for freight movement in North America as technologies and the market mature,” VTNA President Göran Nyberg said in a statement highlighting expectations for the adoption of electric trucks. VTNA’s outlook comes as Sweden-based Volvo Group’s Volvo Trucks unit — the second-largest heavy-duty truck brand in the world — announced it will put electric trucks into operation with select customers in 2018 and start selling electric trucks in Europe in 2019. Underpinning the strategy is Volvo’s experience with electric buses and nearly a decade’s involvement in hybrid electric trucks, said Keith Brandis, VTNA’s vice president for product planning. VTNA is a unit of Volvo Group. But it won’t be as simple as flicking on the lights. The truck maker cited the need to focus on new operational and maintenance procedures, coordination with public utilities and integrating advanced components into the vehicles as challenges it must address. Another challenge: what types of trucks will it electrify? In North America, VTNA currently sells only Class 8 trucks, but medium-duty trucks are generally more suited to urban distribution. He did note, however, that the cost and weight of batteries remain primary concerns even as there have been continuous improvements in battery performance. Managing the electric motors’ power is a factor in the trucks’ development. “The high torque levels produced by electric motors require very advanced control systems and expertise to match the performance of the system with the intended application,” Brandis said. Fleets also must consider how the trucks will be serviced. “On the vehicle side, maintenance plans must be customized for maximum battery life, safe operations and the replacement of battery modules. Technicians must be trained on which services are approved to be performed at service points and which must be performed by the manufacturer,” Brandis said. Other factors that will require the attention of end users include range constraints and operating routes. In terms of infrastructure, broader deployment of high-power charging systems will require working with local utility companies, getting municipal planning approval, site approval and dealing with related construction and maintenance, he said. Widespread infrastructure also is lacking for some alternative fuels, including hydrogen. On top of these issues are questions surrounding who will invest in the infrastructure, and determining the pace of introduction, Brandis said. “We foresee geographical clusters bringing together infrastructure, regulations, growing volumes of electrical vehicles, dedicated routes, and high population density,” he said. Every U.S. Class 8 truck maker has now publicly declared its pursuit of electrification. Some, such as Daimler Trucks North America, also are in the medium-duty space. Other companies new to the Class 8 market, such as Tesla Inc., Nikola Motor Co. and Toyota Motor North America Inc. are testing prototypes of electrified heavy-duty vehicles. Some are either fully electric — such as Tesla — or use a combination of hydrogen fuel cells and batteries, such as the Nikola and Toyota trucks. Tesla and Nikola said production of their trucks will start in 2019 and 2020, respectively. Other companies are making the electrification of medium-duty vehicles their sole focus, while several suppliers are preparing to support electric trucks with new electric axles and safety systems.